Paperback, 6.5 x 9.25 in. / 128 pgs / 164 color / DVD. Edited by Peter Noever, Wolf D. Prix. Text by Vito Acconci, Peter Cook. As a critic, stalwart nonconformist and champion of utopian architecture, Austrian architect Raimund Abraham (1933-2010) made one of the most significant contributions to contemporary architecture in 2002, with the construction of the Austrian Cultural Forum Buildingin New York. Following his tragic death in 2010, that year's Vienna Architecture Conference was held in his honor. 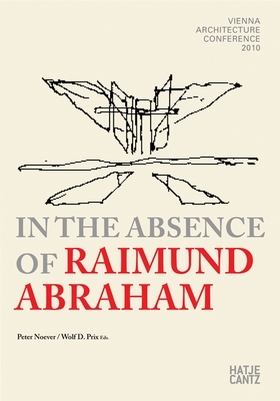 In the Absence of Raimund Abraham documents the keynote lecture, speeches and discussions held throughout the conference given by architects and artists such as Vito Acconci, Peter Cook, Kenneth Frampton, Peter Kubelka, Andrea Lenardin Madden, Thom Mayne, Jonas Mekas, Eric Owen Moss, Peter Noever, Wolf D. Prix, Alexis Rochas, Michael Rotondi, Elfie Semotan and Lebbeus Woods. 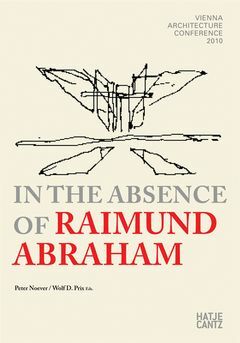 The publication also includes a DVD of Abraham's now-famous last lecture, “The Profanation of Solitude,” given at the Southern California Institute of Architecture, only hours before his untimely death. 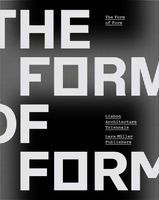 Edited by Andreas Stadler, Andres Lepik, Text by Lebbeus Woods, Kenneth Frampton. FORMAT: Pbk, 6.5 x 9.25 in. / 128 pgs / 164 color / DVD.